While many people adhere to the "third time's the charm" saying, Mazda revises the phrase with the all-new Mazda MX-5 Miata, proving that the fourth time may indeed be the true gem. After all, the all-new, fourth-generation Mazda MX-5 Miata rolls out this model year with exceptional features and designs that have already garnered it a full set of accolades. Want to get the full scoop on Mazda's all-new open-top sports car? Check out our full 2016 Mazda MX-5 Miata review below! Upon first glance at the 2016 Mazda MX-5 Miata in Houston, it is clear that this performer belongs to the esteemed Mazda family. But, with a lower, sleeker profile, KODO design language themes, an all-new Ceramic Metallic paint color and a lighter frame, the Mazda MX-5 Miata propels into the future with plenty of momentum. Plus, as a sporty two-seater convertible, the all-new Mazda MX-5 Miata features an easy-to-operate soft top and wind control so that every ride is enjoyable. Inside, the Mazda MX-5 Miata's base Sport model is standard with a push-button starter, Bluetooth wireless phone pairing and audio streaming and an excellent audio system. Performance enthusiasts will surely love the upgraded Club level that comes with 17-inch wheels, Bilstein shocks, a rear spoiler, a seven-inch color touchscreen display with infotainment connectivity and a multi-function commander control. Of course, our 2016 Mazda MX-5 Miata review is especially allured by the Grand Touring trim, an unparalleled model with leather-trimmed seats, a nine-speaker BOSE audio system with headrest-mounted speakers and Mazda's i-ACTIVSENSE® suite of safety technologies. When redesigning the all-new Mazda MX-5 Miata, Mazda did not stop with the stylish adjustments. Instead, Mazda held nothing back and created an all-new performer from the ground up. Drivers will appreciate this as they soar through town in what Edmunds.com refers to as "one of the most rewarding convertibles you can buy". From the SKYACTIV®-G 2.0-liter engine that offers extra power to the six-speed manual transmission that delivers approximately 25% more efficiency, the all-new Mazda MX-5 Miata is an agile choice that you'll love to drive. Test drive a 2016 Mazda MX-5 Miata in Houston today and experience why we are sure the fourth time is the charm. With speed, style and plenty of fun, the all-new Mazda MX-5 Miata is a clear choice for Texas drivers looking for extra performance and an exhilarating driving experience. 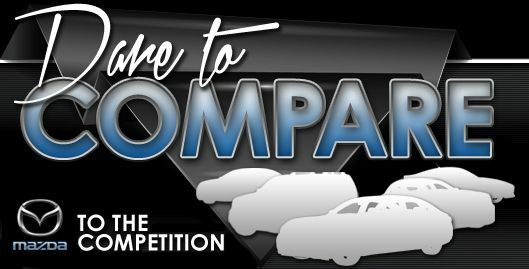 When you compare Mazda's newest Mazda MX-5 Miata model head-to-head with the 2016 Ford Mustang, Mini Cooper and the Fiat 500, you'll learn that it outperforms the competition. If the Mazda MX-5 Miata's budget-friendly sticker price and unique features don't prove to you that it's the best vehicle for your needs, we're sure its attractive exterior design will seal the deal. When compared to the vehicles in its segment, in terms of price it's clearly a remarkable value, making it a popular choice among Mazda customers in Houston. Browse our Quick List under this text to find out more! Joe Myers Mazda is a trusted resource for information about the 2016 Mazda MX-5 Miata - for reviews of past models please view our sidebar links. With the assistance of some of the most skillful automotive writers in the business, we've managed to get reviews produced for all of our models. Information you can be confident of to make sound decisions is right here - each summary is filled with helpful data and specs. Discover more about Joe Myers Mazda's wonderful lineup! Review and compare Mazdas other vehicles in our digital research library now!